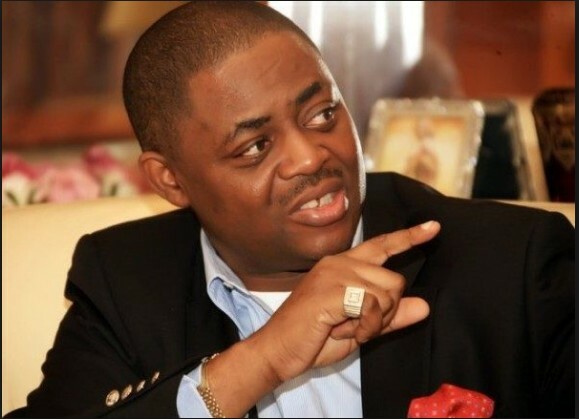 The former minister of Aviation, Chief Femi Fani-Kayode FFK has debunked the circulating report that he has a heart disease. According to FFK, who described the report as false, what he had was a “heart-related ailment,” and not a “heart disease,” while stressing that there is a world of difference between the two words. The former minister made the clarification in a statement signed by his Senior Special Assistant on Public Affairs, Obiageli Nwachukwu, while adding that he will be presenting a medical report to the court at a later date to back his claims. “It is only in the world of the reporter of the Punch Newspaper that a “heart-related ailment” has suddenly become “heart disease,” the statement partly read. FFK who was absent in court, and Nenadi Usman, a former mnister of state for finance, are facing a 17-count of money laundering amounting to N4.6 billion. Also joined as a defendant is Yusuf Danjuma, a former National Chairman of the Association of Local Government of Nigeria (ALGON) and Jointrust Dimensions Nigeria Limited. When the case was called, only Usman and Danjuma stepped into the dock. Before lawyers announced their appearances, Justice Rilwan asked why Fani-Kayode was not present. Kayode’s lawyer Mr. Norrison Quakers (SAN) told Justice Rilwan Aikawa that the former minister complained about “heart-related ailment” and could not make it to court for his trial. The courtroom then broke into a suppressed laughter after he made the complaint insisting that the former minister’s illness should be taken seriously due to recent cases of heart-related deaths. “It is not a laughing matter. “They said he was complaining of a heart-related pain. We have seen recent cases of heart-related deaths. On Friday, a lawyer collapsed and died while addressing the court,” Mr. Quakers, a Senior Advocate of Nigeria, said, as his colleagues and their clients struggled to hush their laugh. “The second defendant is unusually absent in court today as a result of a health challenge which information was relayed to me by the wife. “In that regard, I have requested for a medical report and hoping that same will get to me before the close of work because the second defendant lives and carries out his business outside the jurisdiction of this court, in Abuja. “My humble application is for us to come back tomorrow so I can furnish the court with the medical report,” Quakers said. The former minister’s absence stalled his trial for an alleged money laundering. Rotimi Oyedepo, counsel to the EFCC, did not oppose the application. But he reminded the court of the provisions of Section 396(d) of the Administration of Criminal Justice Act which stipulates that both the prosecution and defence are entitled to not more than five adjournments each during a trial. “They have taken two now,” Mr. Oyedepo added. Oyedepo’s position also forced FFK to insist that this was the first and only time he has been absent from proceedings or asked for an adjournment from the learned judge.